The Bloomfield is a beautiful two-story split floorplan. 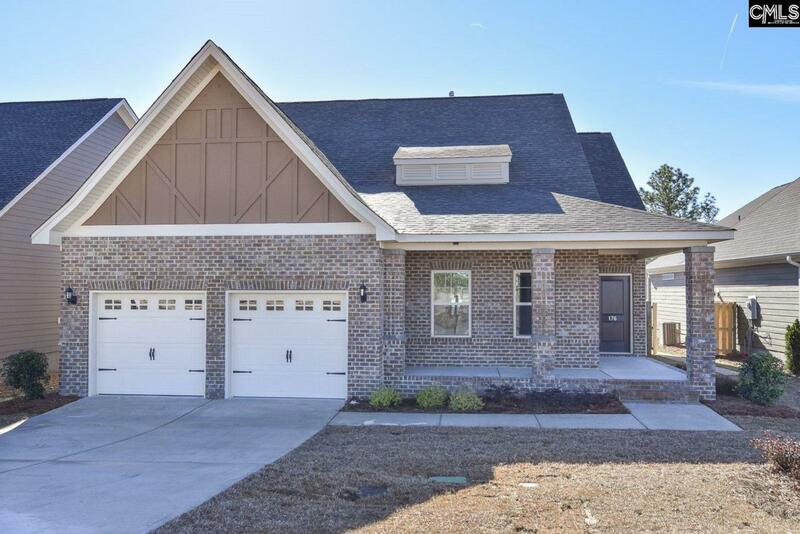 This home features three bedrooms and three bathrooms with charming craftsman-style design. A large island sits in the kitchen which opens up to the family and dining room. Kitchen cabinetry is a sleek Glacier Gray color which is accented by dreamy Moonlight granite counter tops. Step into the main floor master suite and admire the large walk-in closet, spacious bathroom, and gorgeous A secondary bedroom can be found on the main level as well. Relax by the fireplace in the winter, or step outside and enjoy the warm Carolina summers under the shade of a covered porch! Full irrigation, energy efficiency, and easy access to interstates, shopping and more. Enjoy the convenience of Woodcreek Farms living! Call for more information, today!